Jesus said, “If you love me, keep my commandments”, and when he was asked what was the greatest commandment, he replied, “Love God with all your heart and soul, and your neighbour as yourself”. Members of the Church of the Nazarene meet to worship God by singing, praying together, studying the Bible, and by sharing each other’s needs. They also try to share their faith with their family, their friends and the people they meet each day, to let them know that they can also know that God has forgiven their sins through faith in Jesus’ death and resurrection. Jesus’ promise was that all those who put their faith in Him would go to be with Him when they died. We believe that the Bible is the revealed Word of God, and it is our only source of doctrine and guidance for daily living. Our teaching, in Sunday School, and to adults is soundly based on the Bible. 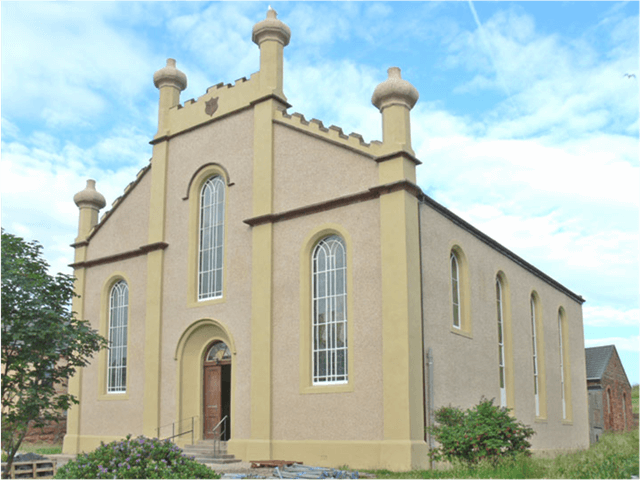 The church is also about helping others, and the church of the Nazarene worldwide is a vast organisation which offers practical and spiritual help in 156 world areas. Nazarene Compassionate Ministries are often in the forefront of giving aid when natural disasters strike – recently in Haiti. Our folk like to meet socially and they need little excuse to have a meal together! We share Holy Communion together on the first Sunday morning of the month, and all who have found faith in Jesus Christ are very welcome to participate. Our ministers are usually trained at Nazarene Theological College, Manchester, an affilitate college of the University of Manchester, although some come into the ministry from other churches. 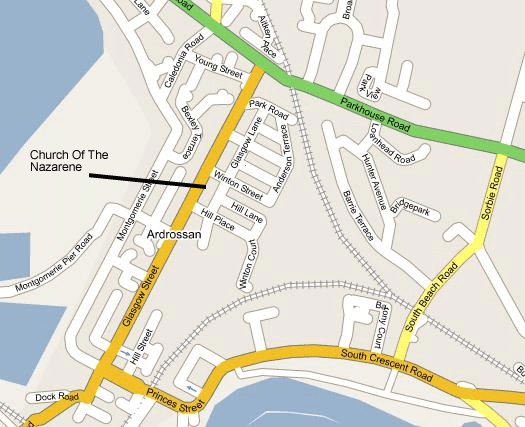 We take an active part in the Ardrossan churches group and the calendar of events organised together. This includes the Christmas carol Service, Easter Services during Holy week, Armistice Sunday services and Christian Aid week. We love to sing and we try to cater for traditional and modern tastes in our worship. We share our doctrinal position with the Methodist church, the Salvation Army, and the teachings of John Wesley, emphasising the work of God’s Holy Spirit in the life of a Christian. Why not drop in some Sunday if you do not have a regular church connection? You can be assured of a warm welcome.